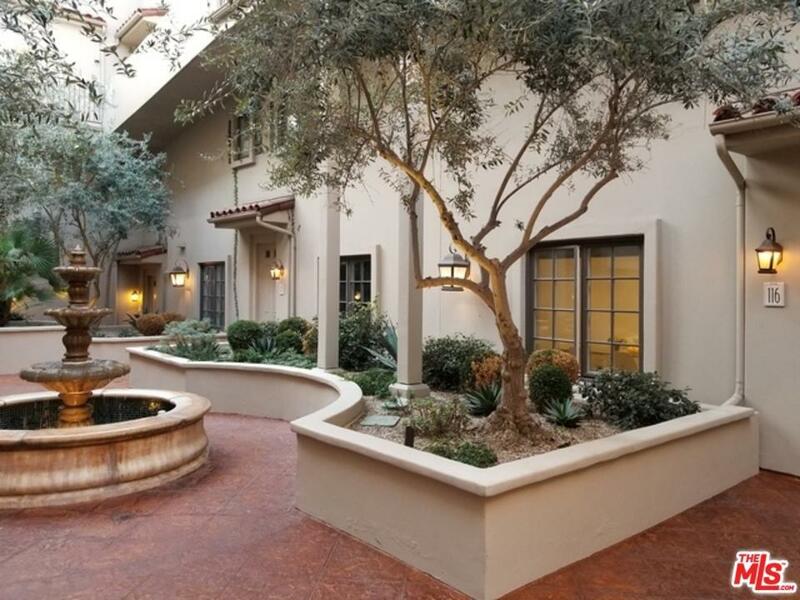 Large 2 story townhouse-style condo located at The Desmond in the heart of West Hollywood. This updated unit offers 1875 sq. ft. of spacious living space. Downstairs there is a generous living/dining area with fireplace as well as a den and updated chef's kitchen with island. Upstairs there are 2 expansive master suits, both en-suite with separate tub and showers, large walk-in closets one suite has a balcony. Washer/dryer located upstairs in the unit, plenty of storage, there are two outdoor living areas, wood floors and central air and heat. In addition there are two side by side parking spaces, plenty of covered guest parking all in a secure complex with gorgeous courtyards and fountains throughout. This unit is within walking distance to The Pacific Design Center, West Hollywood Park and Library, the Abbey, Pavilions and the upcoming Bottega Louie as well as the Sunset Strip. Sold by Michelle Schwartz BRE#01980986 of The Agency. Listing provided courtesy of Thomas Finch II DRE#01980986 of Coldwell Banker Residential Brokerage.